Our teaching team this year is made up of Mr Glaister and Mrs Cookson. We are a close-knit group of 34 energetic learners who enjoy learning across the whole curriculum and love to show our best work. When we find something tricky we don't give up, oh no! We persevere until we have achieved! We're not scared of mistakes because we know that sometimes we need to make them in order to learn. This year our learning will be structured around different themes from "Sparks Might Fly!" through to a focus on the plague and our current unit "Passport to Europe" so we can't wait to get stuck in! Our school ethos very much thrives on a partnership with parents and we appreciate all the work our parents complete at home - practicing times tables and our key spellings as well as listening to us read and working through Mathematics activities on MyMaths. We need our P.E. kits in school on Wednesdays and Fridays. On Tuesdays the Year 4s will need to remember their brass instruments for their music lesson with Mr Read. This week, 2nd to the 6th of July, has been Science Week at TCP! We started the week learning about sound; how things need to vibrate to make sound and that it can travel through the different mediums of solids, liquids and gases. We then investigated 4 different toothpaste brands to see how much they foamed up, drew a graph and wrote a letter of recommendation. Mrs Ng kindly came to tell us all about how important sleep is and what could happen if we don't get enough. On Friday we learned about our disgusting bodies using the BBC Terrific Scientific to find out about wee, poo and snot! Click the words to be directed to the page to find out more. Below are our costumes for the fancy dress Science competition. Winners to be announced in Celebration Assembly and receive a certificate. At the start of our "Hunted" theme we went into the school garden and had to hunt for certain items e.g. 5 different leaves, an insect that was alive etc. We had a great time in the sunshine! On our trip to Brockholes we discussed the course of a river and then went out to the River Ribble to see those features in action. During this time we used binoculars to do a bit of bird spotting; we saw lots of sand martins, a kestrel and even a heron! We then reconstructed the course of the river using natural materials we found in the locale. In the afternoon we went pond dipping to see what creatures we could find - no sharks but we did find dragonfly nymphs, water-boatmen and even some newts! On 22.3.18 Piccolos and French Horns walked down to Holy Trinity Church in Tarleton. We were greeted by Father David who told us lots of interesting facts about the church, the ceremonies that take place there and what goes on at Easter. We asked lots of questions, identified the important parts of the church and learned about the Eucharist. We then had the chance to walk around and look at the beautiful stained-glass windows and other parts of the church. Many thanks to Father David and our parent volunteers for their help. Thursday 15th March was World Maths Day! We started with an assembly led by Mrs Smith this morning where we thought about how amazing Maths is and thankfully Mrs Smith DIDN'T have to cut any camels in half. In class, we investigated whether the length of a person's foot is the same as the distance between their wrist and elbow and if taller people have bigger feet! We then completed our own measuring-based investigation. After lunch we had to put on our detective hats and solve a murder - of course the clues needed Maths skills to solve! Some of our parents came in in the afternoon to see our work, complete a Maths trail around the school and help us solve our mystery! Thursday 1st March was World Book Day! We started with an assembly where Mrs Gaskell introduced the idea of a whole school story and Mr Upton climbed the climbing frame to share his David Walliams book with us. In class we focused on characters and questions we'd like to ask them. We created our own horrible, disgusting character and gave them a name. Next we created brand new words using prefixes! Finally we wrote a descriptive piece of writing about our character, based on the description of Mr Gum! Mr Glaister has scanned in his favourites below. The focus for Darwin Day this year was life in the oceans. After a brilliant assembly from Mrs Ng we began by using atlases to find and label the major oceans of the world. We also learned some fascinating facts e.g. did you know that the deepest known area of the Earth’s oceans is known as the Mariana Trench? Its deepest point measures 11km. That’s a long dive down! We then moved on to study the life cycle of a green turtle before focusing on the threat that plastic poses to these animals. Plastic from human activity ends up in the oceans which affects marine life in many negative ways. We designed posters to inform people how plastic ends up in our oceans and how they can help to reduce the amount of plastic that ends up there. 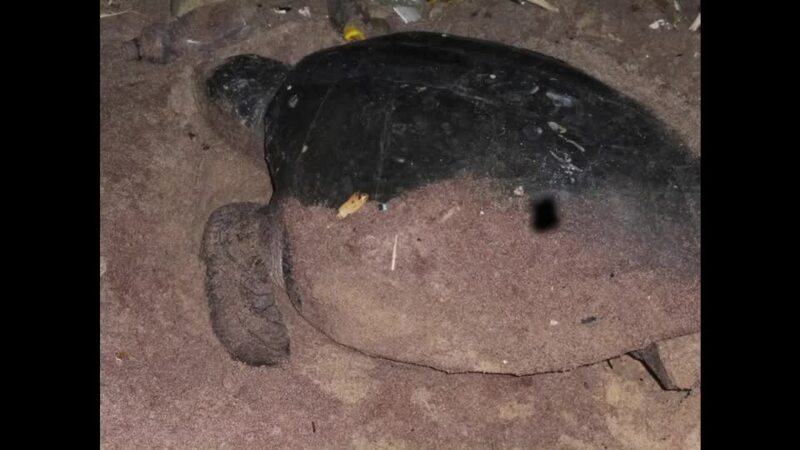 The video below shows the desperately sad sight of a mother turtle trying to lay her eggs on a plastic-strewn beach. The picture below shows the five main oceanic rubbish gyres and describes some of the effects that they have on wildlife. This morning we had a special assembly where Mr Glaister introduced the theme of SID 2018 and made us think about our behaviour online. We completed tasks in class about how we feel when people do things online and what the right course of action might be. We read a drama activity where someone shared a picture without permission and ended up upsetting another person and losing control of the image. We then completed a quiz to assess our learning. As our Enterprise venture, Piccolo Class decided, after market research, to make cookies! We decided on dark chocolate and Smartie flavoured cookies and then went into the interesting and exciting world of setting up our own business. Looking at the cookie recipe to make 12 cookies we adapted it to make 120 and using the Tesco website we worked out how much of each ingredient we needed and how much that would cost us. From this we decided to sell the cookies for £1 which gave us a healthy profit margin. We designed a logo, made posters and bunting and created unique packaging to catch the eye. To make the cookies we used our knowledge and understanding of measures and Jayne in the kitchen kindly agreed to bake them for us. In the end we had a very successful time at the Fayre and made £151.80! For the last term, every Friday afternoon, Piccolos have been exceptionally lucky to have Mrs Williams in school to deliver health, well-being and fitness classes. We have so much fun doing the routines that she has devised and learning about how to keep our bodies healthy. Alongside this we have done some circuit training (hard work!) and some work on healthy eating. Not the starship Enterprise but our Enterprise Week which kicked off today! We were very lucky to have a visit from a local business owner, Jenny Bird, who shared with us her story from where she began her business to now. She impressed upon us the importance of good customer service skills and a belief in ourselves whatever we're doing. Inspired by her we created acrostic poems for Enterprise and began our market research in order to find out what people would be interested in buying and how much they would pay for it. For Autumn 2 we have been learning all about the Great Plague. We have learned about the symptoms and treatment of the plague back in the 1660s and how we treat the plague today. We have looked at how the plague spread from London to Eyam and how their brave sacrifice stopped the plague from spreading further. We have looked at how we dispose of our waste and encouraged people to Reduce, Reuse and Recycle. Finally we have looked at how the skull has been used in art and created our own skull artwork and printing. Here we are before our Harvest Assembly! Thank you to all parents who we able to come and for all our your generous donations. Here are just some of your wonderful and generous donations of food. They will be going to the Fox Street Shelter and International Aid. In a couple of weeks it is Piccolo Class' Harvest assembly! To help us out please could you watch, listen to and practice the rap in this link I Like Vegetables. We are also practising the Harvest Samba and it can be found here - Harvest Samba. On the 2nd October 2017 Piccolo Class and French Horn Class went on a visit to the Museum of Science and Industry in Manchester! We arrived to a fantastic talk about the history of Manchester including how it was home to the first train station ever! On the first train journey someone got a leg chopped off, some people threw rotten potatoes at it and some delicate ladies fainted at the sight of it! Piccolo Class then went to the Experiment floor where we could investigate solar panels, look into an infinity tube, write messages using light, mix colours together, solve puzzles and so much more! Check out our photos below for some of what we got up to. Theme - Sparks Might Fly! Our first theme is Sparks Might Fly! We are going to be looking at electricity in our daily lives, making circuits and moving on to creating our own product that uses electricity... stay tuned for updates!